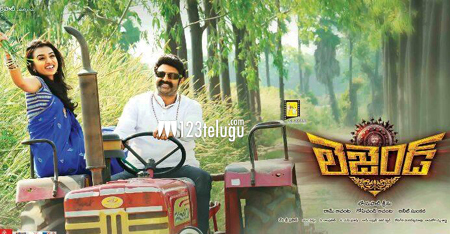 Balakrishna’s latest film Legend is off to a flying start at the box-office all over the world. Not only in India, the film is doing extremely well in the US. As per the latest reports, the film has collected $357,829, which is close to Rs 2.15 crores, over the weekend in the US alone. This is best ever opening for a Balakrishna’s film in the US and fans of the actor are extremely happy about its performance at the box-office. Directed by Boyapati Sreenu, the film also had Jagapathi Babu playing a powerful villain’s role. Balakrishna’s powerful dialogues, action sequences and the confrontation scenes between Balakrishna and Jagapathi Babu stood as the main highlights of the film. Radhika Apte and Sonal Chauhan have played the lead roles opposite Balakrishna, who himself played two different roles. Meanwhile, the film’s team will be going on a success tour in select few parts of the state and as a part of this programme, they will visit few theatres and temples in the state. 14 Reels Entertainment banner had produced the film and Sai Korrapati had presented the film under Vaarahi Chalana Chitram banner.